We’re not afraid of a little coffee stain. Oooh, Nintendo’s not gonna like that, Sandy. Does the line imply that Sony has secretly been working on a PlayStation 4 that they, too, will debut at E3? Or is she just desperately trying to maintain an image of Sony as the “tough guy” in the marketplace, through the unexplained PlayStation Network outage and all? Maybe someone spilt coffee over the PSN servers and she’s telling whoever the crap did it they’re not afraid of coffee stains anymore with their new, waterproof server casings. I think they’re just keeping up the “better-than-thou” image they like to have. I do believe they are the only one of the 3 companies that resorts to name-calling (“What is this? 3rd grade?,” “…important features like arms..and necks”). Yeah, those definitely were fighting words…one that would make a group of guys in classroom go, “oooooooooooooh”. We’ll see at E3 who’s mug is greatest! Oh-Ho! Why I oughta warm up some decaf and shove it down their bleeping faces. I hate Sony. I like their games, but I hate their mouths. forget coffee stains, them be blood stain word. 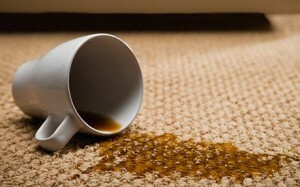 Okay so if they’re not afraid of a little coffee stain, how come they cannot clean up that coffee FLOOD they made off their PSN server? better image than Full HD (1080p). Unless (probably not) Sony start to adopt Nintendo concept of making consoles with a fun kind of gameplay. Full HD isn’t the better image that a TV can reach… but we need to wait until a new kind of HD Graphics be made to the TV.